The English Instinct Language Institute has emerged as a provider of tailor-made solutions to help middle and high school students master the language. 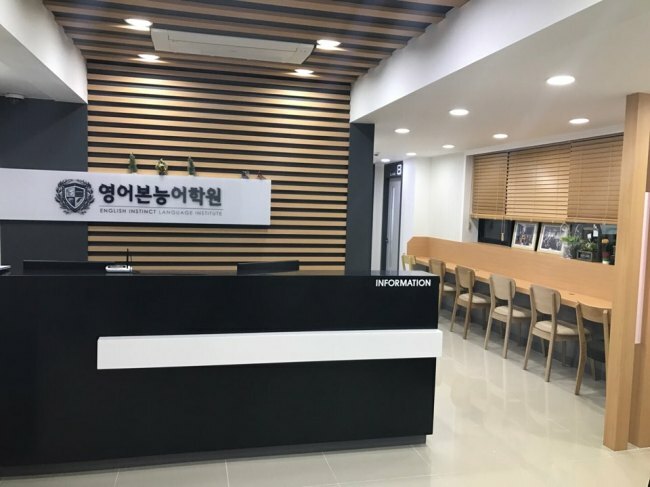 The institute, located in Daechidong, southern Seoul, runs programs specifically designed for Korea’s university admission exam, school records and the English proficiency tests TEPS and TOEFL. It attracts students from not only Seoul and Gyeonggi Province, but also southern parts of the country, especially during the weekends and school vacations. Since opening four years ago, every year the institute has helped more than 200 students from Seoul Science High School with the school curriculum and another 150 students of Daewon International Middle School. Other students include those who currently attend Hankuk Academy of Foreign Studies, Daejeon Science High School, Hansung Science High School, Sejong Science High School, Young Hoon International Middle School and other prestigious schools around Seoul. The institute crafts teaching materials targeting each top school in Gangnam and other regions. It also keeps records of the schools’ regular tests and the yearly college admission exam to study patterns.